The Miami Heat are reportedly not one of the preferred trade destinations of New Orleans Pelicans big man Anthony Davis, according to Shams Charania of The Athletic. Davis’ list includes the following teams: the Los Angeles Lakers, New York Knicks, Milwaukee Bucks and Los Angeles Clippers. The University of Kentucky product had previously requested a trade in late January, telling the Pelicans that he would reject any extension the team offered him. 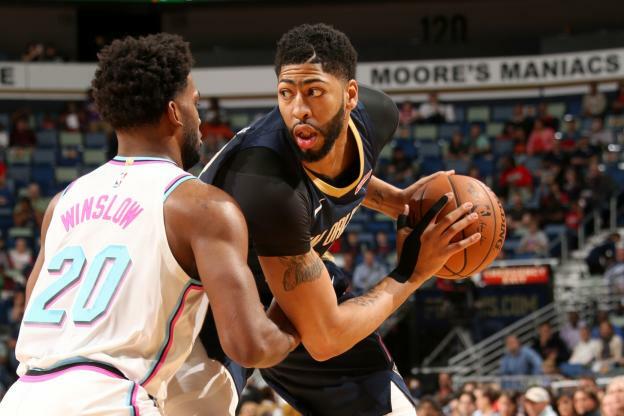 Acquiring the former first overall pick would have come at a lofty price, which is evident by the ongoing trade talks between the Pelicans and the Lakers. The Lakers are reportedly offering three of their best young prospects, three veterans and two first-round picks for the big man. Davis has two years left on his contract, although he does hold a player option for the 2020-21 season. Throughout his NBA career, the 25-year-old has averaged 24.0 points, 10.6 rebounds, 2.1 assists, 1.4 steals and 2.4 blocks per game. Although Davis would have been exactly the type of player the Heat have been looking for, one who could bring them back to contention, it looks as if they won’t be able to acquire him anytime soon.